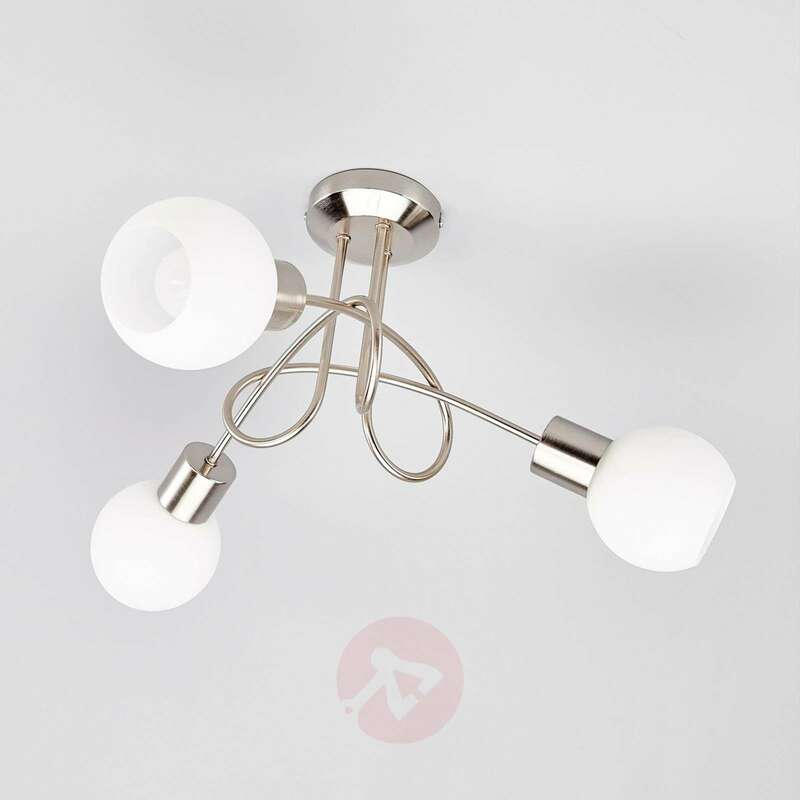 The white glass shades of the 3-bulb ceiling light with its flush metal faces create a beautiful and equal light. Thus, Elaina is a fitting light source for many different purposes, rooms and styles. 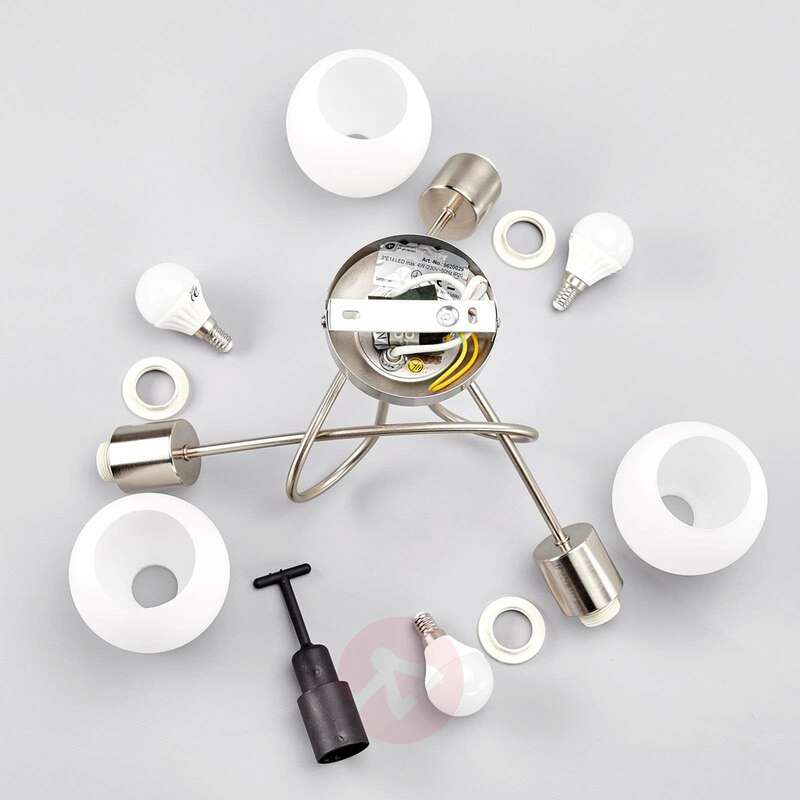 The delivery includes LED light bulbs with an E14 socket, which score with high energy efficiency and a long lifespan and shine in warm white light. Do you supply dimmable light bulbs for this light fitting? 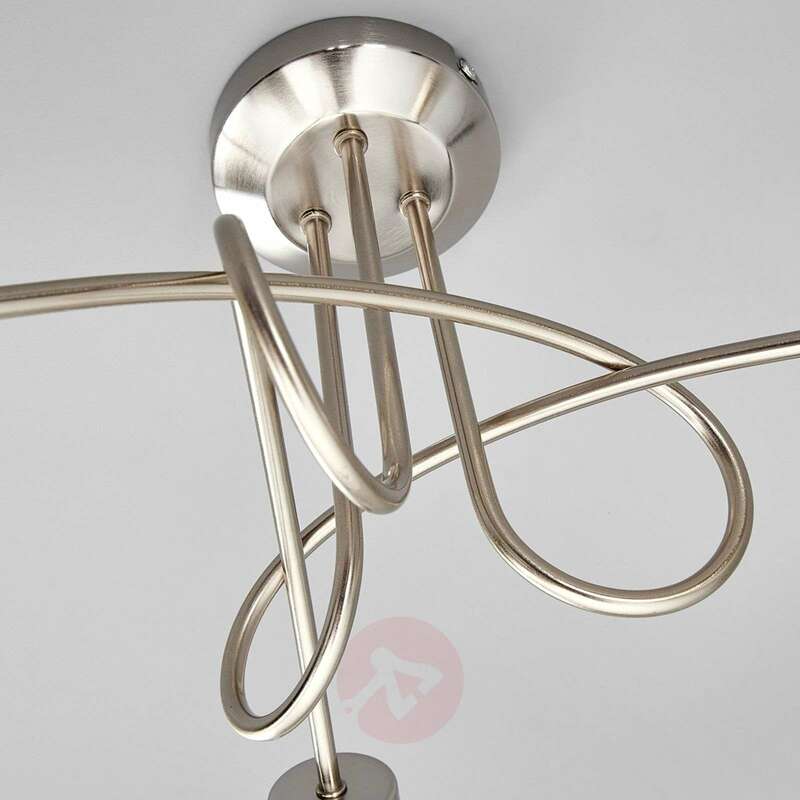 Are the bulbs directionally adjustable - and are the bulbs replaceable, please? 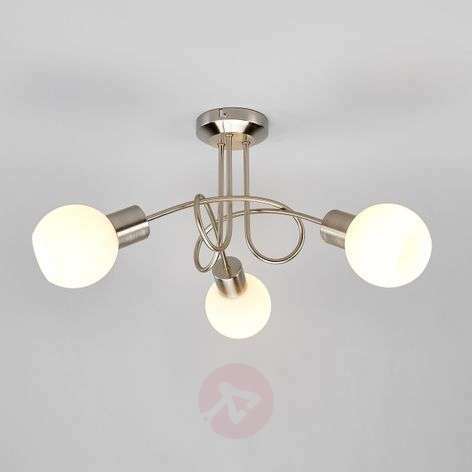 Unfortunately in this light the bulbs are not adjustable but they are replaceable. 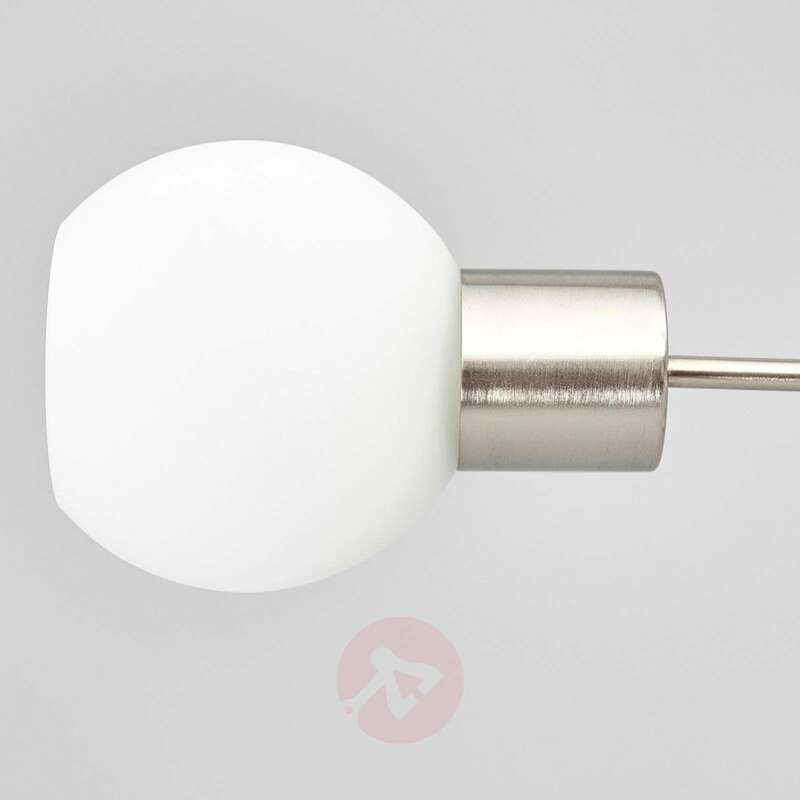 Suitable bulbs to be used are with base type E 14, max. 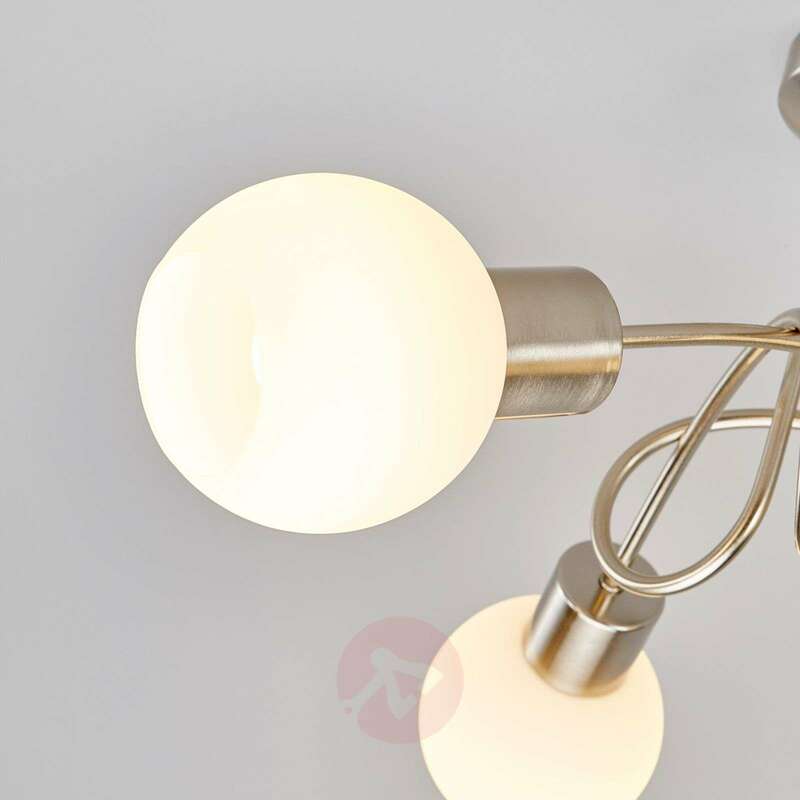 4 W.
I'm looking for "LED chrome, matching ceiling & wall lights" (preferable combination 3 ceiling & 2 single wall outlets) I need the brightest possible periodic illumination preferably from ordinary bayonet bulbs. Any suitable ideas please? 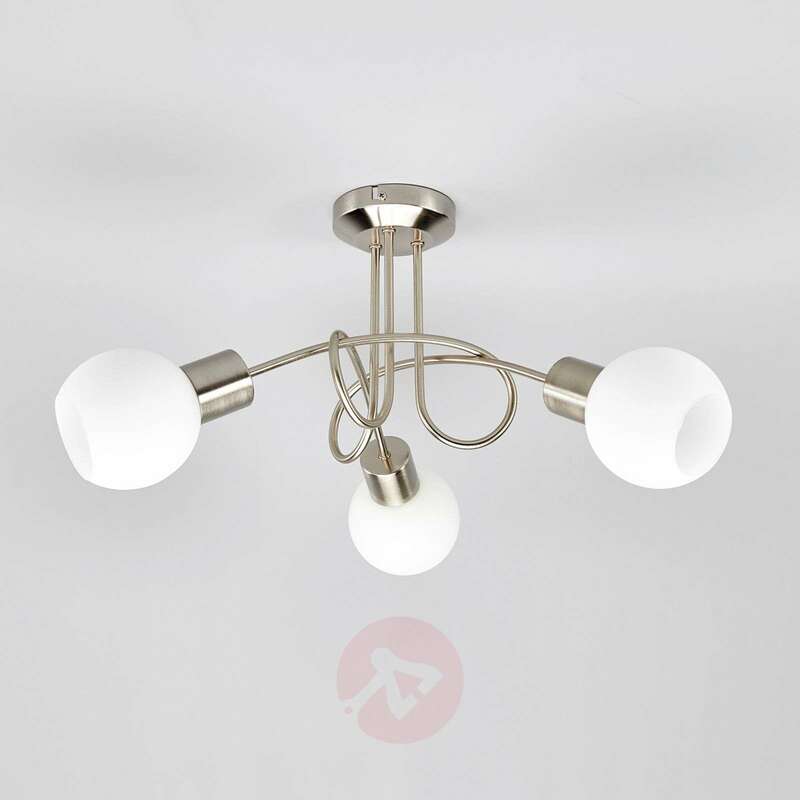 If you're looking for matching wall can ceiling lights, then the Elaina are a great choice (see item no 9620017 for the single wall lights). 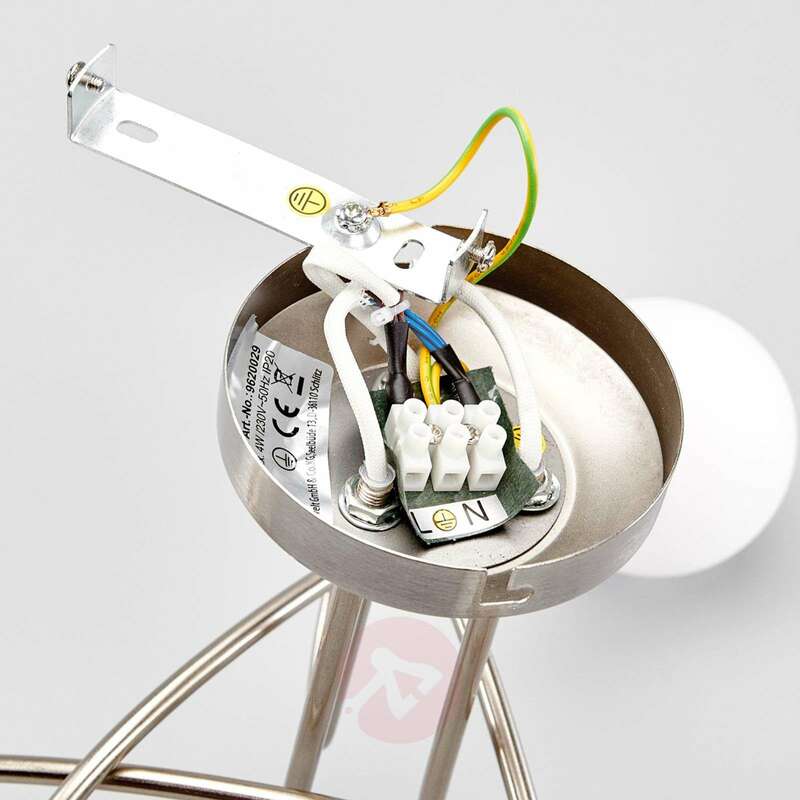 These also have replaceable bulbs so you can choose the brightness if you use LED bulbs. Love the look. Someone put up for me, but said easy to install. Lovely quality with glass shades. Very attractive and bright light. Ideal for the bedroom. Thank you for your feedback, we're so glad to hear that you're pleased! Absolutely delighted with my two light fittings. Both the products and service I received were excellent.